The MBA PROGRAMS AT THE LEADING UNIVERSITIES ARE TEACHING AND 'PROMOTING' SOCIAL ENTERPRISE AS 'THE NEXT BIG THING'. If you visit the websites of the leading universities you will find that their MBA programs place a strong emphasis on Social Enterprise as the emerging trend in business. This is also true in their programs on Public Policy and Government. Columbia University's MBA program Columbia University is one of the most respected in the country and has a Social Enterprise Program that states "our goal is to be the pre-eminent generator of leadership - both people and ideas - in the world of social enterprise". MISSION: the Social Enterprise Program (SEP) trains the next generation of leaders to address social and environmental challenges. In practical terms this means that the MBA programs recognize the increasing role of social enterprise and are becoming incubators for creating new business models for merging business and social benefit. 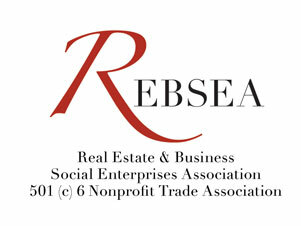 ( This is precisely what REBSEA is doing ). And further, because 'business is business', they are emphasizing that the business community, corporate America, recognizes that it is in the best interest of their shareholders to move in the direction of managing their reputation as a socially responsible enterprise. The business world is literally being dragged, screaming and fighting, all the way to the bank. "The customer is always right" goes the adage and the customer insists that you Give Back.